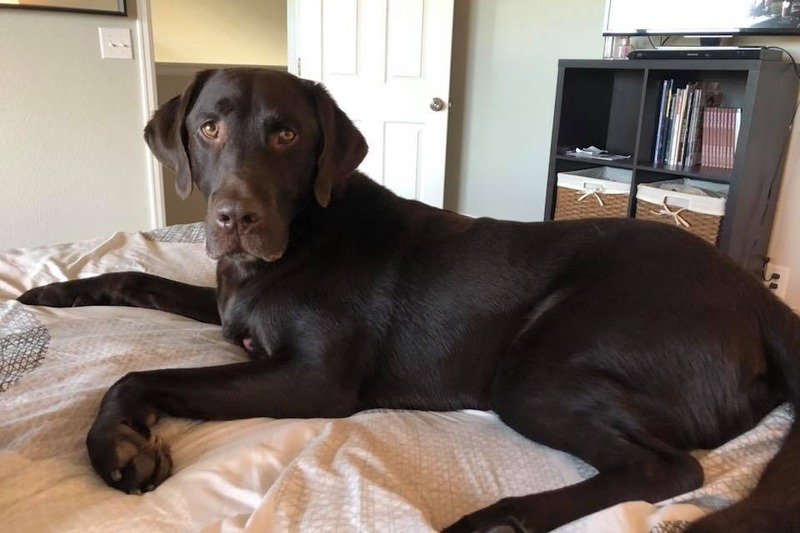 A Chocolate Lab Named Hoss Needs Your Help! WOOF! Every once in a while, a tweet or an email comes across my desk which gets my attention! Barks, obviously, I can't share everything for everyone but Hoss got my attention! BARKS! 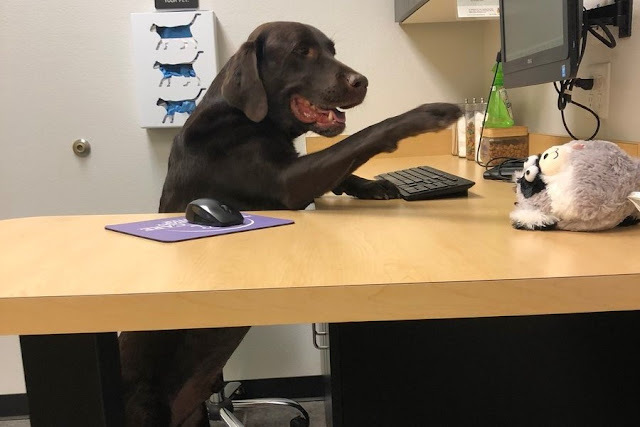 Hoss had to have emergency surgery on Monday morning, January 7, 2019 to Powers Pet Emergency and Specialty Hospital, in Colorado Springs, CO. The Abdominal x-rays and ultrasound found he had two severe blockages. One was located in his stomach and the other in the small intestine. arf. Paws, at 5 p.m., he had emergency surgery to save his life! Barks, he was in surgery for 2 1/2 hours! To remove the blockage, they had to make an 8-inch incision. arf. What was the obstruction? WOOF! 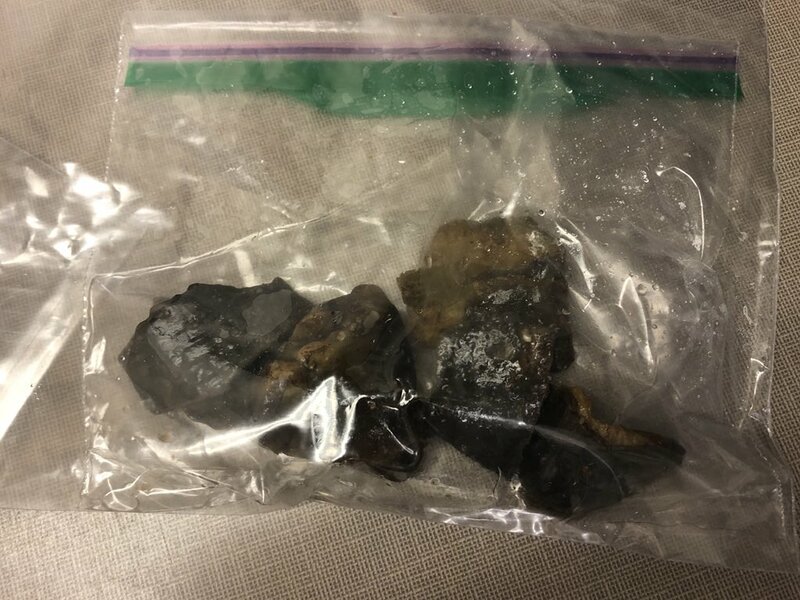 A dog treat which many dogs eat every day called "cow hooves!" WOOF! WOOF! Thankfully, the surgeon was able to remove the large and small pieces of hoof material from the abdomen and was able to "milk" the smaller pieces through the small intestines without making another incision. Barks! Hoss made it through surgery well. The best case scenario played out for him. He went home on Tuesday night, January 8 and began his recuperation. Woofs, since the incision was large, he is on lots of medication, has a special diet, has had some exercise restrictions. Barks, which isn't easy for the humans or Hoss! I'm sure Hoss was wanting to be out running and playing! Barks, like me, Hoss is part of a human family who loves him dearly. He is around 4-years-old and provides so much love and life to the family! An impawtant part of the family I'd say! Barks! Hoss went to for a recent post-op visit and got a clean bill of health. He is can run and play! He is back to being his fun-loving goofy self which his humans know and love! He is enjoying life, food and his humans too! WOOF! His human mom Brooke says "We are so happy to see him recovering well because of great medical care, prayer, faith, hope, and people like you who are helping in this time of need! We truly can't thank you enough! We appreciate you! Thank you!!" BARK! BARK! WOOF! Hoss's family doesn't have a Pet Emergency Account so they created a GoFundMe page to help with the $4,000 surgery expense. 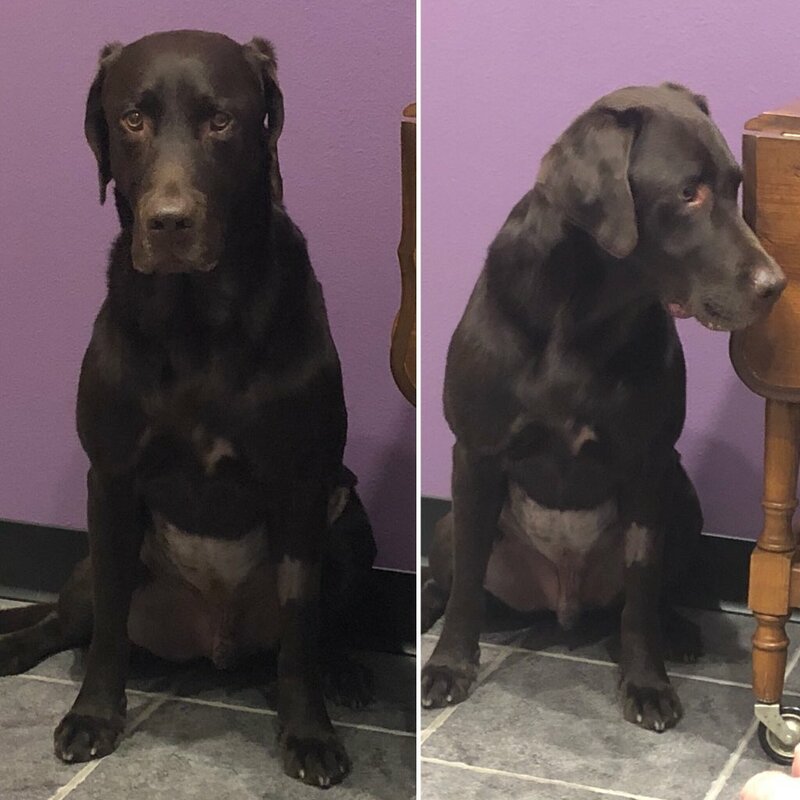 If you would like to assist Hoss with his surgery and related medical expenses, pawlease visit GoFundMe - Help Hoss the Chocolate Lab! "Hoss Playing Lab Tech to Get Toy!"